The Democratic Republic of Congo has freed a US diplomat it arrested but is still detaining several young political activists. President Joseph Kabila is under intense pressure not to seek re-election in 2016. Congolese Foreign Minister Lambert Mende said the diplomat arrested on Sunday was in the company of a group believed to be in the process of staging an attack against state security. But Phil Clark, an expert on the Great Lakes region at SOAS, University of London, told DW he believed the activists did not pose any serious security threat. “What we are seeing here is the concern of the Congolese government that this group could ultimately put thousands of young people to the streets to contest President Kabila’s attempt to extend his presidential term,” Clark said. 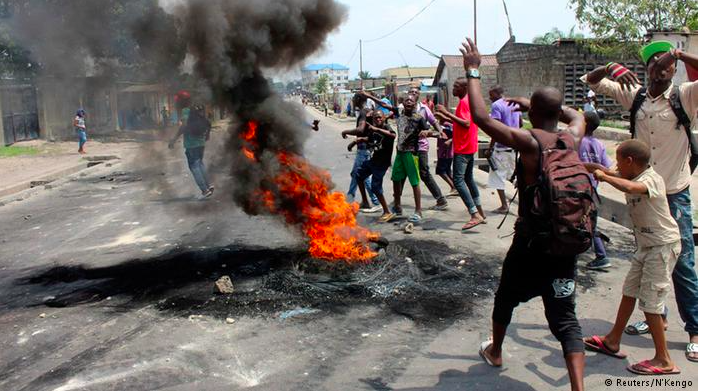 Demonstrators burn tyres in the DR Congo capital Kinshasa. Sturr and the pro-democracy activists were arrested in the capital Kinshasa after a press conference organized in support of Filimbi, a Congolese political movement that seeks greater participation from youth. The event, which was planned by activists from DR Congo, Senegal and Burkina Faso, was at a cultural centre in Kinshasa. Around 20 journalists and observers were reportedly in attendance. Confirming the release of US diplomat Sturr on Monday, Mende said “he was returned to the embassy late Sunday night.” The foreign minister said rest of the detainees “will either be released or face the public prosecutor.” Four foreign journalists who were also detained have been released. Local journalists were also arrested. The Reuters news agency reported that nearly a dozen government soldiers, some in uniform, some in civilian clothes, entered the hall as the Filimbi press conference was ending and proceeded to make the arrests during which some people were assaulted. Mende refuted allegations that soldiers had taken part in the raid saying only the police had been involved. “Those arrested were taken to interrogation facilities run by the national intelligence service and the police and an investigation is under way”, he said. The soldiers also arrested a French citizen who owns the cultural centre. More than a dozen musicians, who were waiting outside the hall to perform, were also detained. Some 40 people were taken into custody. Some of the regional activists in detention led protests against leaders in other countries who sought to extend their rule past their constitutional limit. The activists include members of Burkina Faso’s Balai Citoyen, a grassroots civic society group that played a key role in the protests that toppled President Blaise Compaore last year and members of Senegal’s Y’en a Marre, a group that comprises hip-hop artistes and journalists. In 2011 and 2012, Y’en a Marre fought against the re-election bid of former President Abdoulaye Wade who had refused to step down. Wade went on to lose the election to President Macky Sall in a run-off. 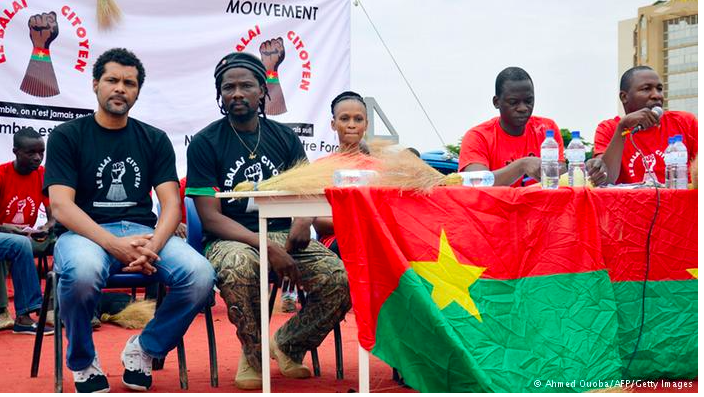 Members of Burkina Faso’s civic organization Balai Citoyen. “President Kabila is particularly vulnerable at the moment,” Clark said. “His own government has been divided for a long time, it’s not even clear that he has the full support of his own cabinet, ” Clark added. Kabila who took over from his father is increasingly disliked across the country and seen as authoritarian and intolerant towards dissent. Proposed changes to the electoral law in the DR Congo led to mass protests earlier this year. The planned change in legislation was widely seen as an attempt by Kabila to stay power. 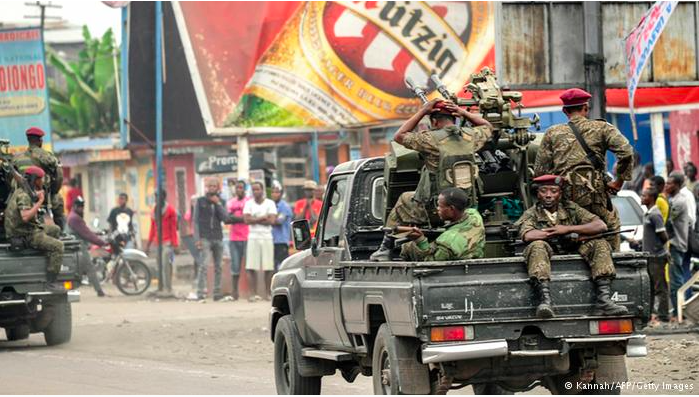 According to Human Rights Watch at least 40 people were killed in the violence in Kinshasa and the eastern city of Goma .